A new report by Reuters finds that General Motors may have lost $49,000 on every Chevrolet Volt sold to date, thanks to the collision of high sticker prices and unrealistic expectations of demand for plug-in hybrids. The story touched off another wave of tut-tuting over the GM bailout -- and a stronger reply from GM this morning calling the story "grossly wrong." The truth: What matters more isn't how much GM might have lost on the Volt so far, but when it will be profitable -- if ever. No car has ever been stuck in the kind of political miasma that surrounds the Chevy Volt, which has turned into the rolling representation of the Obama Administration's $50 billion rescue of GM. With that bailout now firmly at the heart of a presidential campaign following the Democratic National Convention and the bumper-sticker slogan of Vice President Joe Biden that "Bin Laden is dead and GM is alive," that cloud has spread to cover even routine business choices at GM. Last week, a few critics questioned whether GM had political motives for scheduling its third-quarter earnings release on Oct. 31 -- the same week as Ford and Chrysler. Based on interviews with industry experts, Reuters estimated it costs GM between $75,000 and $88,000 today to build each Volt. Most of that -- $56,000 -- comes from the cost to develop the Volt's unique power system, a combination of gas engine, electric motors, massive lithium-ion battery pack and a complicated transmission, all powered by custom GM software that controls how the car starts, stops and recharges. The rest of the cost comes from the raw material, labor costs and other overhead. While GM had expected to sell 60,000 Volts a year by now, it's only moved 21,000 over the past two years. Sales in August set a record at 2,831 -- but even at that rate, Volts remain far below target, incurring even higher costs from suppliers who were guaranteed business. And there's evidence GM may have gambled on future losses to move Volts now by offering lease deals of $199 a month for two years, raising the spectre that the Volt may never reach profitability. After Reuters posted the story last night, GM responded forcefully this morning, calling the piece "grossly wrong," and that the calculations "become more wrong with each Volt sold." The reason: Automakers don't account for product development costs per unit sold, but over several years of expected production. And GM has a point (one that Reuters acknowledges in its piece). By using Reuters' math, the first few vehicles of any new or updated model would also be sold at a massive loss, including the Toyota Prius and any other plug-in hybrid on the market. Exhibit A would be the Tesla Model S, developed using $465 million in federal loans and a $226 million IPO. Tesla has delivered fewer than 100 cars so far; by the same formula applied to the Volt, each of those cars could be considered to have lost $6 million apiece. Yet Tesla expects to turn cash-flow positive by the fourth quarter of this year and has a target of a 25 percent profit margin on every Model S sold, because the same technology and factory is expected to build thousands of cars in several different models. The GM executives who conceived the Volt as a leap-frog over the Prius -- well before the Obama administration even took office -- always thought of it as a marketing tool as much as a regular car, and justified the additional costs as a way to burnish GM's image. 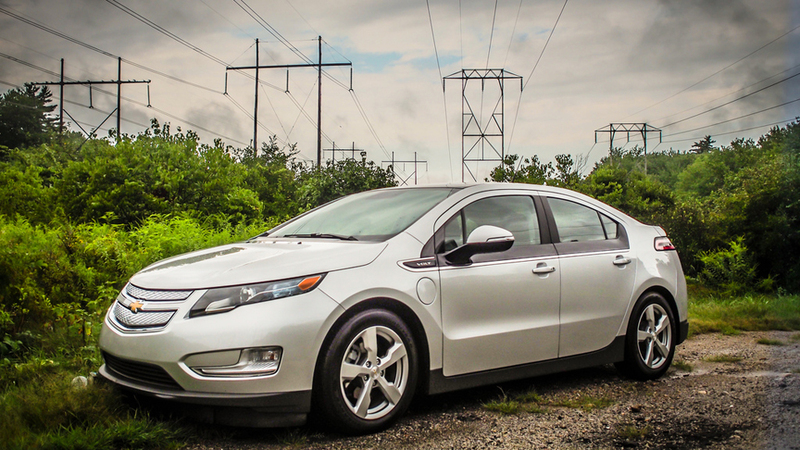 The Volt works as advertised; some owners have reported driving 1,000 miles using only home charging between fill-ups, and the car most traded in for a Volt has been a Toyota Prius. But GM's known plans for the technology beyond the Volt runs to a low-volume coupe edition for Cadillac launching next year; without a higher-volume application, the financial break-even point won't arrive for several years, if ever. 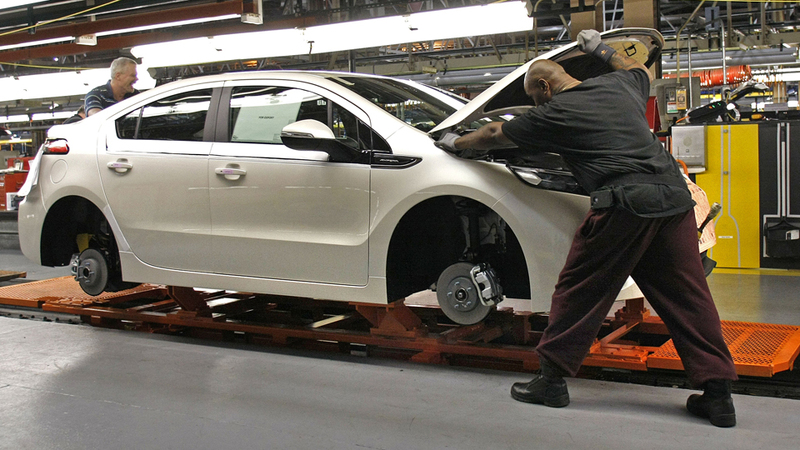 If GM wants to escape its political smog, it has to show the Volt represents the best use of the taxpayer's money that saved the company -- and not a lingering reminder of how the old GM went broke in the first place.